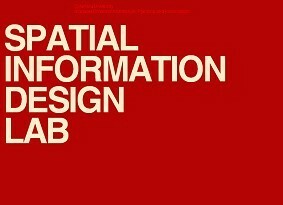 Spatial Information Design refers to a set of analytic and creative strategies for investigating and representing all sorts of data — quantitative, visual, and textual — about the spaces of the contemporary world. We work with information at multiple scales, from the cell and the building to the city and the globe. We are as interested in concrete and tangible geographic phenomena as we are in digital and ephemeral data traces. We see our task as converting information that is otherwise dormant, invisible, or simply incomprehensible into images and arguments that provide grounds for research, discovery, and action.